“MMA Unified Rules of Conduct” is the set of standards established in 2000 by the New Jersey State Athletic Control Board (NJSACB) to sanction the MMA, building on work initiated by the California State Athletic Commission (CSAC). The shortcomings were taken advantage of by the work of the Nevada State Athletic Commission (NSAC), which also added some changes to the final ruleset. This was extensive work, where it originated from the pressure imposed by American politicians who wanted to ban MMA from the US because they considered the sport too violent. On December 28, 2005 California officially sanctioned MMA using this regulation. Since then, several state athletic commissions in the US have adopted this set of rules in events held under their jurisdiction. In 2009, the rules were reviewed by the Association of Boxing Commissions, with representatives from Nevada, Ohio, Minnesota and even Canada. The review dealt with controversial points of the rules such as drastic changes in weight categories and the use of elbows, among other changes. The document can be seen in full (in English) on the official ABC Boxing website. It’s worth mentioning that, because it was sanctioned by US regulatory agencies, not all events follow these rules. Those based outside the U.S. implement some changes because each country has its own legislation. This was clear when the Québec Athletic Commission (QAC), in Canada, complained about the use of elbows and knees, as well as the absence of opening of a protective count in knockdowns. When it came to booking UFC 97 in Canadian territory, an agreement between the UFC and QAC was necessary to guarantee the event. At the end of this text follow the main differences found in some events disputed outside the USA. The full set of rules established by QAC can be found by clicking here (French content). Each round should be five minutes long, with a one-minute break between them. Title fights can be sanctioned for five rounds, but common fights must not exceed a total of three rounds. This rule applies to both male and female fights. Note: As of 2011, five-round fights without a belt contest have been accepted. The movement started in the main UFC fights from event 138 onwards. Although not officially included in the rules, the athletic committees allow, with the consent of ABC Boxing, tolerance of one pound (about 450g) above the established limit of the category in fights that are not worth belt, as long as it is literally defined in the contract signed by the athletes. Commissions can also sanction fights in combined weights (catchweight). There is no limit to these combined weights, which are analysed according to each situation. Entities also need to disclose to the promoters which is the largest tolerable weight difference between two opponents for each weight category. Competitors must fight in approved shorts without any footwear. Anklets and knee pads are allowed. T-shirts, rashguards, gi jackets or pants of any kind (including kimono trousers) are not permitted. Fighters should wear light gloves (from 4 to 6 ounces), which leave their fingers free. The gloves must be new and delivered in perfect condition by the event promoter and approved by the local Athletic Commission, or they will be replaced. No competitor may wear their own gloves. In all weight categories, competitors’ hand wraps should be restricted to light gauze, with a maximum of 15 yards (13.7m) long by 2 inches (5cm) wide, secured by surgical tape of a maximum of 10 feet (3m) by 1 inch (2.5cm) wide, for each hand. The bandages should be placed in the locker room, in the presence of an inspector and the head cornerman of the opponent. Under no circumstances may a fighter’s gloves be put on before receiving approval from the inspector. Fighters must wear a genital protector (cup), of a type approved by the commissioner present. Female fighters must wear a breast protector, which is also approved by the commissioner. Gum shields must also be worn and approved by the commissioner present. Jewellery or piercings are prohibited during a fight. Referees or commission inspectors must check the length of all fighters’ nails before a match. In each fight, the organiser should provide a clean bucket and a clean plastic water bottle for each corner. A bench approved by the commissioner present must be provided for each competitor. An appropriate number of seats or chairs, approved by the commissioner, must be provided in sufficient numbers for each fighter’s cornermen and must be positioned near the fighter’s corner. Seats and chairs should be cleaned or replaced after each fight. After the controversy generated in the fight between Georges St-Pierre and BJ Penn at UFC 94, ABC Boxing prohibited the use of external body fat, gels, balsams, lotions, oils or any other substances to be applied to the hair, body or face of athletes. This includes the excessive use of water to make the athlete slippery. However, Vaseline should only be applied to the face, outside the ring or cage, in the presence of an inspector, referee or person designated by the athletic committee. If an athlete applies anything other than petroleum jelly in ways mentioned above may have a deducted point during the fight or be subject to disqualification. The referee and the event physician are the only individuals who can interrupt a fight and the only ones allowed to enter the combat area at any time. Judges should evaluate competitors’ techniques such as effective strikes (total number of hits thrown by a competitor and their severity), effective grappling (number of successful takedowns and reversals performed by a competitor, for example, a takedown from standing position to riding or active guards to fighters fighting in guard), control of the fight area (judgment of who is controlling the pace and position of the fight, for example, with attempted takedowns to force the fight on the ground, passing the guard to achieve top position, preventing a attempted takedown by standing up and using legal techniques, and evaluating the creation of opportunities to strike the opponent), effective aggression (fighting by moving towards the opponent and throwing legal blows) and defense (avoiding being dropped, hit by chance or scratched). The system of 10 points per round must be adopted in all fights. Three judges mark the score in each round, when the winner of that round takes 10 points and the loser 9 or less. If a referee considers that a round has ended in a tie (no fighter has clearly gained an advantage), he or she must award 10 points to each fighter. A round should be scored as 10-9 when a fighter dominates the opponent by a small margin, trading techniques while fighting. A 10-8 should be scored when a fighter overwhelmingly dominates the opponent, through use of striking or grappling. The 10-7 must be pointed when a fighter completely dominates the opponent. In New Jersey, the minimum score a fighter can get in a round is 7. In other places, this value can change. ABC Boxing recommends that athletic committees promote preparation and retraining courses for central referees and side judges. Course materials must be submitted to ABC Boxing for prior approval. The Unified Rules review document further states that the criteria for judging a round as 10-8, as well as a 10-10 tie, should be addressed in the courses. ABC Boxing, at its annual meeting in 2012, made some recommendations about the criteria for judging the fights. For example, the ABC Boxing Trial Committee now considers that offensive actions should be the only criteria to be judged in MMA matches, i.e., the defence is no longer a judgment criterion. Another recommendation that changes the judgment criteria a lot is that striking and grappling will have the same weight in the judgment. Elbow blows are allowed, unless applied from top to bottom i.e. a 6 to 12 position on a clock. Improvements to the current unified rules allow any type of elbow attack, except in areas of the body where contact is not permitted i.e the back of the head. Blows that hit the ear are accepted. The following techniques are subject to a warning by the match official. If a competitor insists on the infraction, the warning becomes punishment, which may be a loss of points until disqualification. Strike the spine or back of the opponent’s head (to the top of the ear and the crown apex). A fault results in a deduction of one point in the official count of the judges. Only the referee can point to a foul. If the referee does not indicate a foul (interrupt the fight, check the condition of the competitor who suffered the infraction and verbally notify the cornermen and judges), a judge may not take the fact into consideration when scoring to the round score. A competitor who has suffered a foul has up to five minutes to recover. A competitor is disqualified by committing three of the above faults or if the referee judges that at least one of them was made intentionally and flagrantly. If an injury sustained by a legal technique and it is is severe enough to end the fight, the injured competitor loses by technical knockout. If the injury is suffered by an illegal manoeuvre (one of the factors described above) and is severe enough to end the fight, the competitor who caused the injury loses by disqualification. If an injury sustained by an accidental technique is too severe and causes the referee to interrupt the fight, the fight must result in the contest being stopped if it is interrupted before completing two rounds disputed (in 3 rounds) or before completing three rounds (in 5 rounds). After this limit, the judges’ score so far will define the winner by technical decision. There is no punctuation in an unfinished round, only deduction of points arising from infractions. Forfeit: when a fighter uses his hand to indicate that he no longer wishes to continue. By verbal withdrawal: when a fighter verbally announces that he no longer wishes to continue. When the referee interrupts the fight even if the loser has not indicated a desire to stop (normally used in cases of faintheartedness). By interruption of the fight by the referee after a fighter is unable to defend themselves. Divided, when two judges point to one fighter as the winner and the third judge points to the other fighter as the winner. Majority, when two judges point to a fighter as the winner and the third judge points to a draw. Unanimous, when the three judges indicate a tie at the end of the regulatory rounds. Majority, when two judges indicate a tie and the third indicates a winner. Technicial, when the two fighters are injured and cannot continue in the combat i.e. double knockout. Fighters will be subjected to doping control tests for steroids or any other illegal substance. Fighters must be licensed by NJAC, subject to NJAC’s licensing criteria. Licensing fees are set by NJAC. All MMA events are subject to the presence of NJAC inspectors. All MMA events must meet NJAC-defined medical procedures, provide medical equipment and emergency facilities as defined by NJAC, and meet NJAC-defined insurance requirements. The Japanese event, produced by World Victory Road, uses most of the rules described in the text above, with the difference of allowing knees on the head of a fallen opponent. On the other hand, it prohibits elbows on the head. 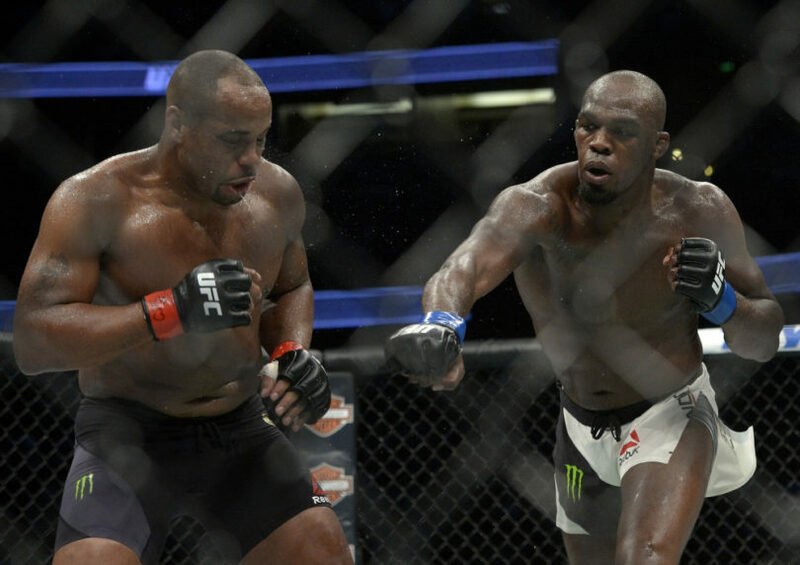 – The fights are held in two rounds, the first with 10 minutes and the second with 5. – Fights should be scored by the judges as a whole and not round by round. – Ties are not allowed, always a competitor must be declared the winner. – Penalties and goal shots to the head are not allowed unless both fighters are on the ground. These blows are allowed on the other parts of the body. – If the difference in weight between the fighters exceeds 15kg (33lbs), kneeling on the head of a fallen opponent is not allowed. – A fighter is considered to be on the ground if he is in the position of three supports (two knees and one hand on the ground). No kicks to the head are allowed in this position. The Japanese event has the same relationship with DREAM as the WEC had with the UFC, i.e., it focuses on the lighter categories and serves as a pool of talent for the larger event. Thus, DEEP uses the same rules mentioned in item 13.2 above.